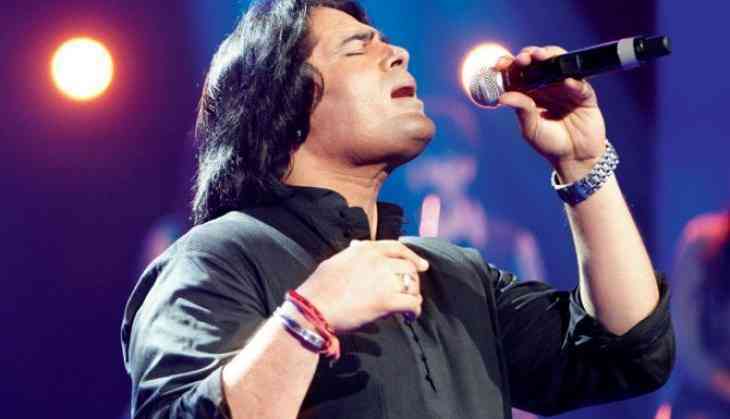 Popular Pakistani singer Shafqat Amanat Ali was one of the artistes from over 120 countries who sang Mahatma Gandhi's favourite bhajan "Vaishnav jan to". He says he took it up as he thought it would be a good way to melt ice between his home country and India. As part of the 150th Birth Anniversary Celebrations of Gandhi, artistes from countries like Sri Lanka, China, Germany, Saudi Arabia and Russia, paid homage to the Mahatma by coming up with their own rendition of "Vaishnav jan to". "I was approached by the Indian High Commission in Pakistan. I said it is a peace initiative, so let's do it. There are a lot of people who are also working for peace in both the countries because at the end of the day, war doesn't do good to any country. I thought this is going to be a good way to melt ice between both the countries, so I did it," Shafqat told IANS over phone from Lahore. The Gujarati hymn was penned by the 15th century poet Narsinh Mehta. "It wasn't really difficult to understand as there were subtitles. It's about humanity," said the "Aankhon ke saagar" hitmaker. He didnt want it to be just like any other song as he found it a "very sensitive thing". "I wanted it to be a very soulful piece. A wrong track, tempo or bad instrumentation, could turn things from good to bad. So, I was really careful," he said. Was he expecting criticism from people of both the countries? "Whenever I did a project with India, no one from my country...from top to bottom, ever opposed me. In fact, people here have received it well. I think everybody is positive about it," said the artiste, who has sung Bollywood films' songs like "Mitwa", "Tere naina" and "Allah waariyan". A lot of people, including Indian singer-composer Vishal Dadlani, have praised him for this initiative. "I am happy and proud. This is a gesture of peace and the first step towards dialogue for peace. I hope people progress and be happy in both the countries," said Shafqat. In the recent past, he has sung for Bollywood films like "Mulk", "Ishqeria" and "Bhaiaji Superhit". But it has been a while since he did live shows in India. His Bengaluru performance was called off in 2016 following a threat issued by Maharashtra Navnirman Sena, which had warned all Pakistani artistes in India to leave the country. This was amid the escalating tensions between the two countries over the Uri terrorist attack. He said he hasn't decided anything on coming to India. "But if something comes up, you will find out," he said. Till then, he will continue working with Indian talent. Last month, Indian musician Joi Barua, who also worked with Pakistani singer Atif Aslam, had tweeted a photograph and captioned it: "Time we did some magic together Shafqat Amanat Ali." "That song is in the pipeline. He has composed it. He has approached a lyricist. If he accepts to do it, we will record it soon," said Shafqat. Sharing more details about the song, he said: "It is a single. If somebody picks it up for a film, we will be glad. It is a song about friendship."